We’re yawning today coz we spent all weekend playing Disney Infinity 3.0 and didn’t do much of anything else, including sleep! Oops. Good news for you is that we tested out the first wave of Star Wars figures. Keep clicking to see our top five! True to his character, Anakin has an aggressive and confident combat style. He fights with a classic blue lightsaber and uses the Force to pull enemies and objects towards him. Throughout the game, you’ll hear and feel his angry streak coming out to play! 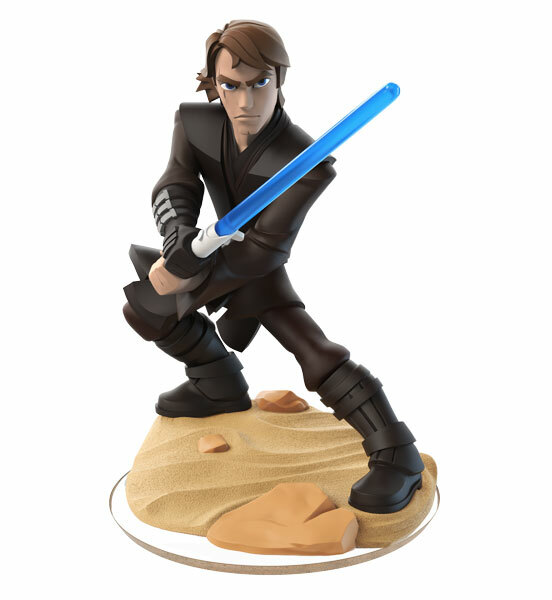 Behind the scenes fun fact: Anakin is the only Star Wars character to have more than one fig. The other is, of course, Darth Vader. 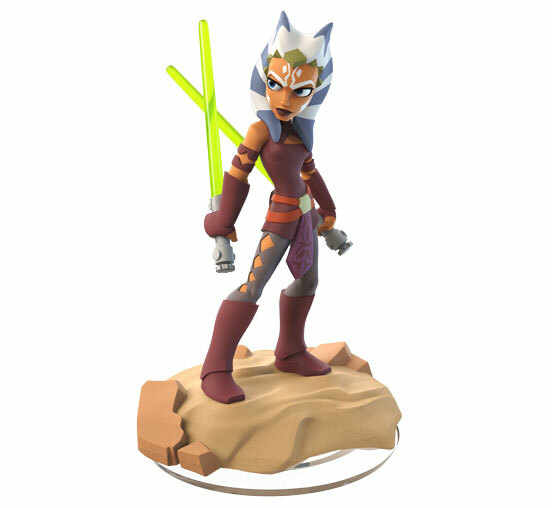 Awesome Ahsoka comes in the starter pack with Anakin and is zippier than her master. They’re the perfect team though – where Anakin pulls in with the Force, Ahsoka pushes out. This Padawan is always super keen to launch into battle with her trademark double lightsabers! Behind the scenes fun fact: Ahsoka inspired the making of Star Wars: Twilight of the Republic coz of her sweet skills and abilities. The developers knew everyone would have heaps of fun playing as her! Ah, yep! The man, the legend. This Jedi Master plays like, well, a Jedi Master! So much wisdom, he has. His movements are refined, and his combat style is strategic and defensive. You’ll totes notice these traits more if you start off playing as Anakin or Ahsoka then switch. 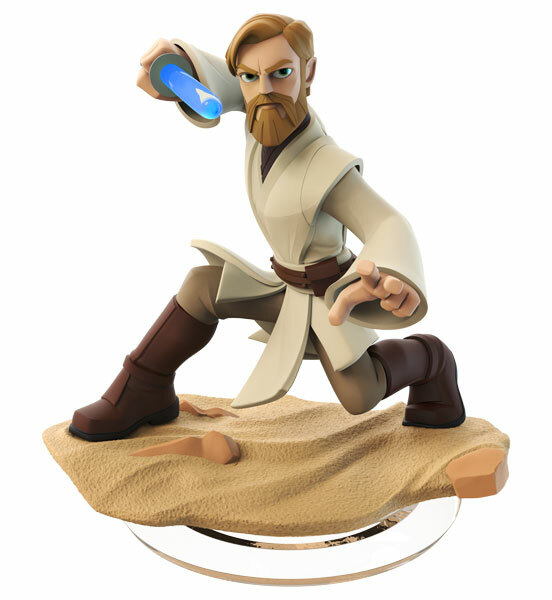 Behind the scenes fun fact: Obi-Wan is voiced by James Arnold Taylor, who voiced him in Star Wars: The Clone Wars. For a 900-year-old, our mate Yoda sure knows how to bring it! 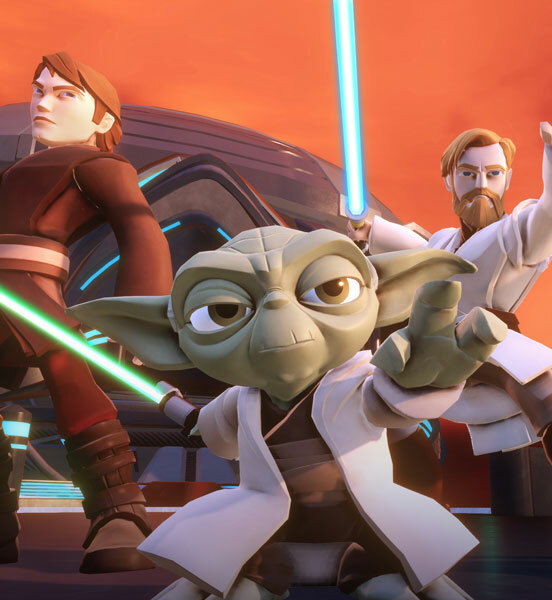 The best thing about playing as Yoda is his special movie – he can run to the nearest enemy, jump onto it, then bounce from enemy to enemy while smashing ‘em! Mess with him, we will not. Behind the scenes fun fact: Yoda’s figure design went through a few stages. At first, the developers wanted him to look like his young self, to reflect how he plays in the game. They decided this wasn’t unique enough, but the design team found it tricky coz Yoda has had so many different looks. Finally they decided to mix all the coolest parts of each version of Yoda. We rate it! 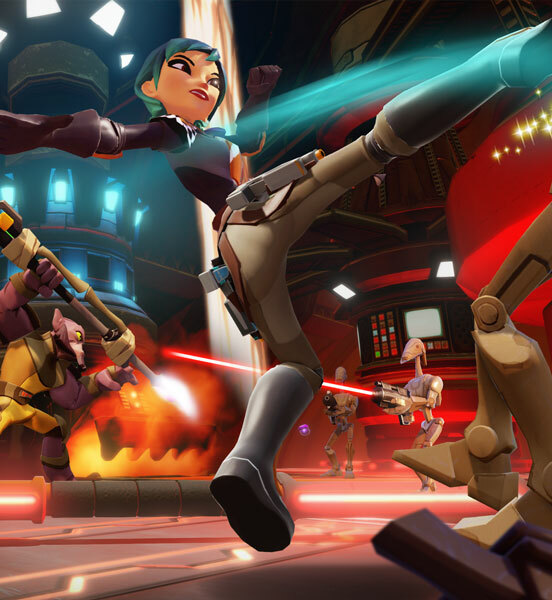 Playing as Sabine is so amazeballs we can hardly take it! We know what you’re all wondering so we’ll cut to the chase. Yes, she has the ability to throw explosive paint bombs! 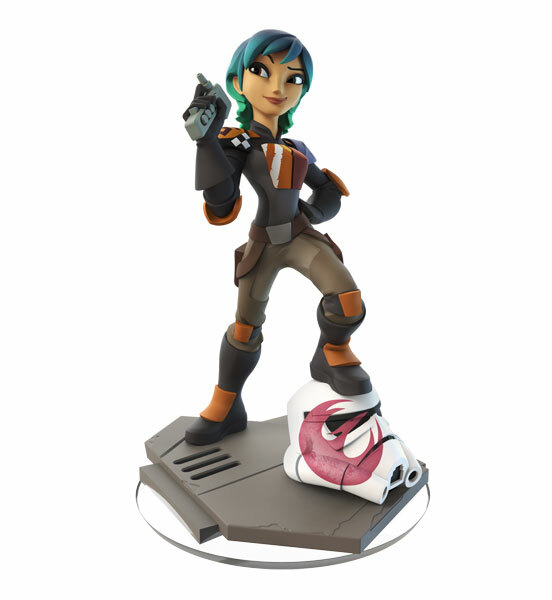 Sabine also fights using twin blasters and has some rad aerial moves. Behind the scenes fun fact: Sabine was the most expensive and complicated fig to make coz of her helmet, the colours in her hair and the details on her clothes. 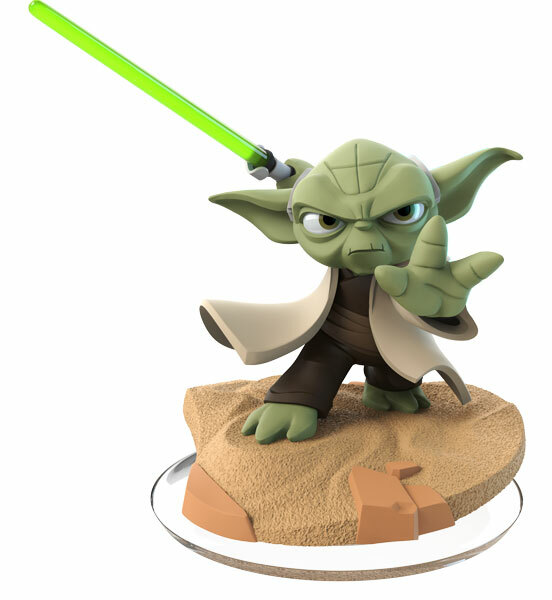 Have you been playing Disney Infinity 3.0? Let us know what you think in the comments! You can also read more about it on Dan’s Gaming Blog, and catch our full review in the October issue of K-Zone, which hits shops on September 14!